The 2015 Line Remote Back Pack is a slim, functional pack designed to carry all of the gear you need for a successful day in the backcountry. Now the Remote Pack has been one of Al's Ski Barn's favorite ski backpacks for years, because the guys at Line know what we need. Diagonal ski carrier straps, Shovel storage pockets, Probe storage pockets, and a Hydration sleeve are some of the highlights. 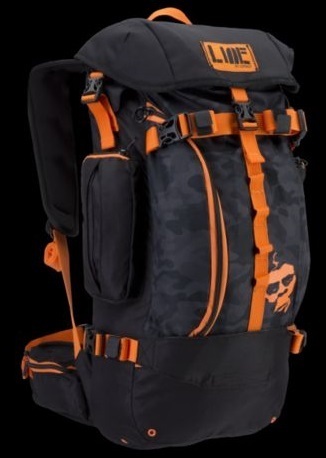 The '15 Line Remote Pack, essential for backcountry hiking and skiing.